the right time to match your time zone. Put it on your desk or any other places, no one will suspect that it is recording. full HD video quality 1920 X 1080P 30 fps. High video resolution gives you a clear view of everything in details. can playback and download the video from Micro SD card on APP. 1. Video could be storaged in Micro SD card (Not included)(SD card MUST be formatted for first use). 2. 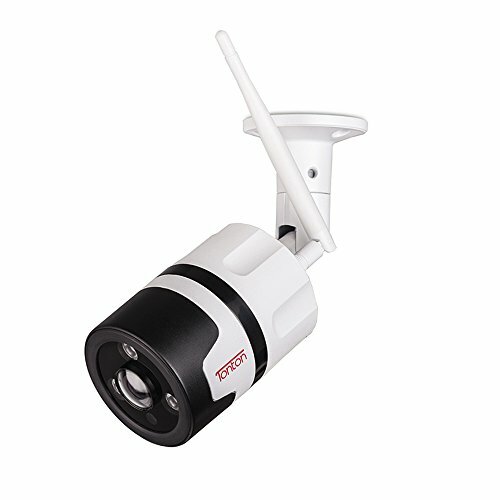 Romote Mode: Connect the spy camera to your home wireless router, view a live feed remotely in your phone, table, or pc. 3. Point to Point Mode: Connect your phone with the camera’s wifi hot-spot. This mode is applicable when you are around the camera. Insert a SD card in camera if you want to store videos. Make sure to remove the back cover and turn the power on before using. To obtain the best performance, please read the instruction manual carefully. 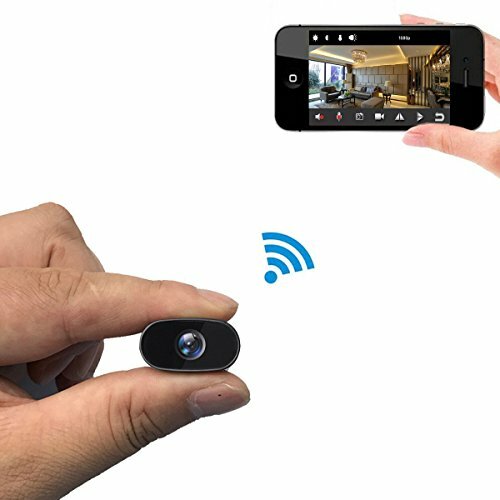 This hidden camera is only compatible with WIFI 2.4GHz, does not support 5.0 GHz. If the camera is not connected to the router, please reset the camera. Press the reset button for 6 seconds until the red light flashing slowly. It means reset is successful. Fully charge the camera before using in battery operating mode. If you would like to monitor all day, please connect with USB adapter. ♥ Normal Clock for Covert Surveillance: As a covert security camera, it looks just like a normal clock you might have at home or office. It’s normal for people to see clock everywhere so no one will suspect that you’re recording video. It’s perfect for protecting your personal belongings, or making sure that your loved ones are safe. 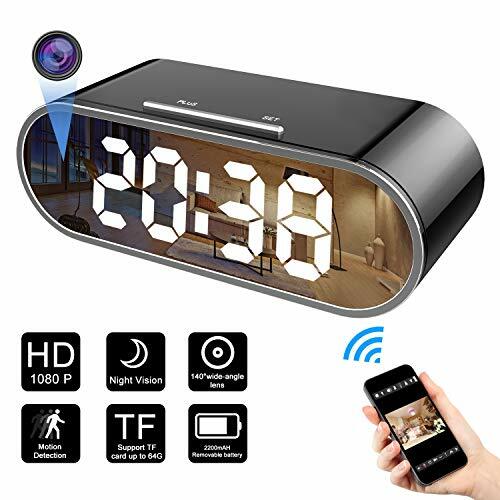 ♥ Watch Remotely & Multi-users Available : Just download the App (IOS & Android Available) and this clock hidden camera will allow you live stream videos on your smartphone or tablet when you are not at home. If you’re not the only person that’s in charge of keeping your property safe , you can share your login information with your wife, partner, or your colleague. It supports multiple devices watching the live-feed online at the same time. Keep an eye on your property at every moment. ♥ Clear HD 1080p Video for More Detail: For surveillance, you need to be able to see specific details and faces with as much clarity as possible. 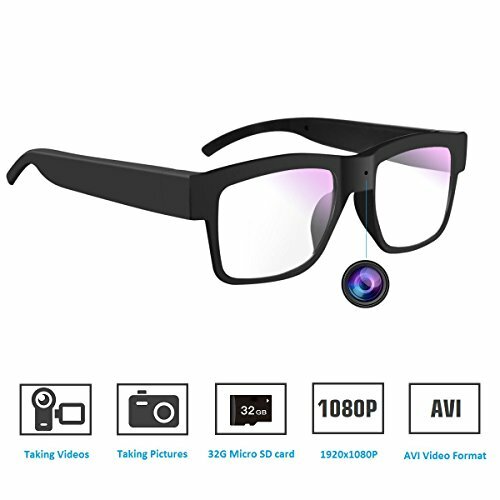 This hidden camera supports Full 1080p high definition display, capturing every moment with clear picture. It also supports with 720P, 640P and 480P resolution, so you can choose the best resolution according to your WIFI network environment. 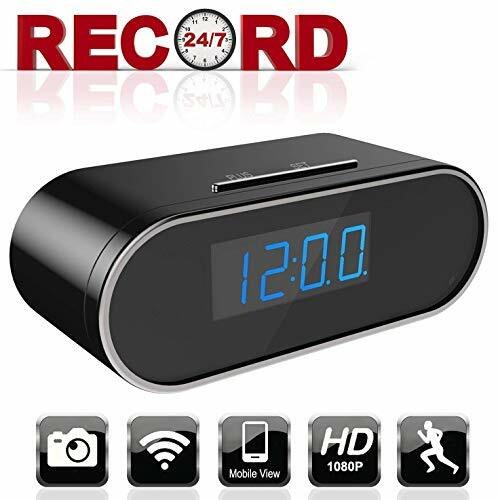 ♥ 24/7 Recording & Loop Recording: Built-in 2000mAh powerful rechargeable battery, allows you to place it anywhere without plugging for recording more than five hours after full charged. An AC adapter is also included for plugging into wall for long-time non-stop recording, no need to worry about out of battery. 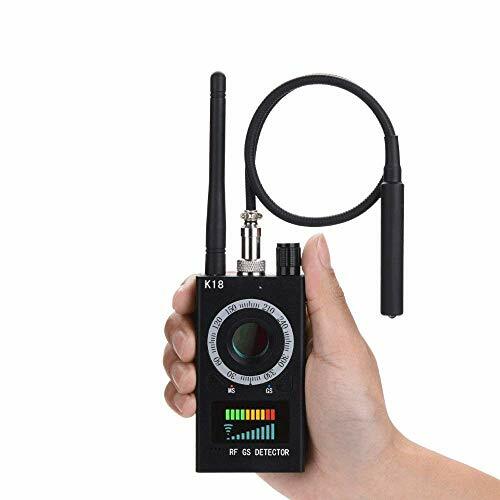 It also has loop recording feature, once your memory card is full, the camera will automatically write over your existing footage so that the camera can record continuously. 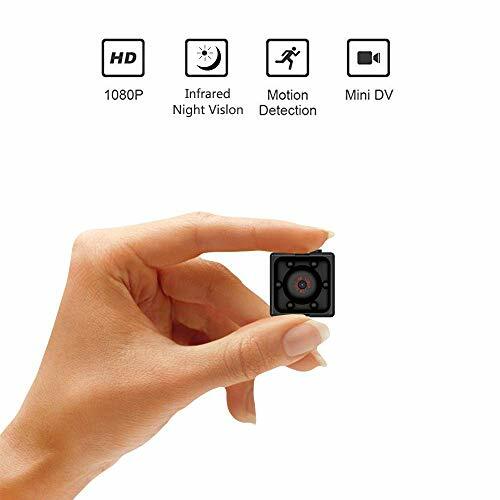 ♥ Motion Detection & Notification Alarm: This spy camera has motion detection feature. This means that it will send you an alarm automatically when it detects motion in your room. You can leave the camera plugged in and it will capture all of the suspicious moments when you’re not around and you can view the video online to see what’s going on in real-time when you receive the alarm.